ABC has cancelled Kiefer Sutherland drama Designated Survivor after two seasons. The show's series finale airs May 16th. 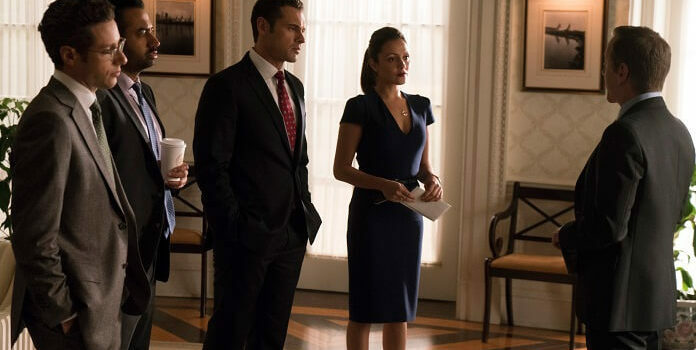 ABC has confirmed that political drama Designated Survivor won’t be returning for a third season. After a big premiere and notable ratings stability for a majority of its first season, Designated Survivor has slid over 40% in the demo this season and lost half its in-season audience from its September premiere. To blame is likely the show’s most recent showrunner change, which brought about a more procedural identity and eschewed the conspiracy thriller elements it began with. While the show has had the same showrunner for its second season, a marvel compared to the three changes it made over the course of its first season, the product has been pretty soundly rejected. What was working in its favor, like fellow cancelled drama Quantico, was that the show had a strong international presence thanks to a Netflix deal. Also like Quantico, Designated Survivor was produced by ABC, meaning that the show was making money for Disney, but its ratings tumble and behind the scenes issues were too much to overcome. What will be interesting to see is what ABC replaces these shows with and just how aggressive they plan to be with their 2018-2019 schedule. Because cancelling shows that are making money means that they must be confident in their development. The series finale of Designated Survivor will air Wednesday, May 16th at 10:00 on ABC.